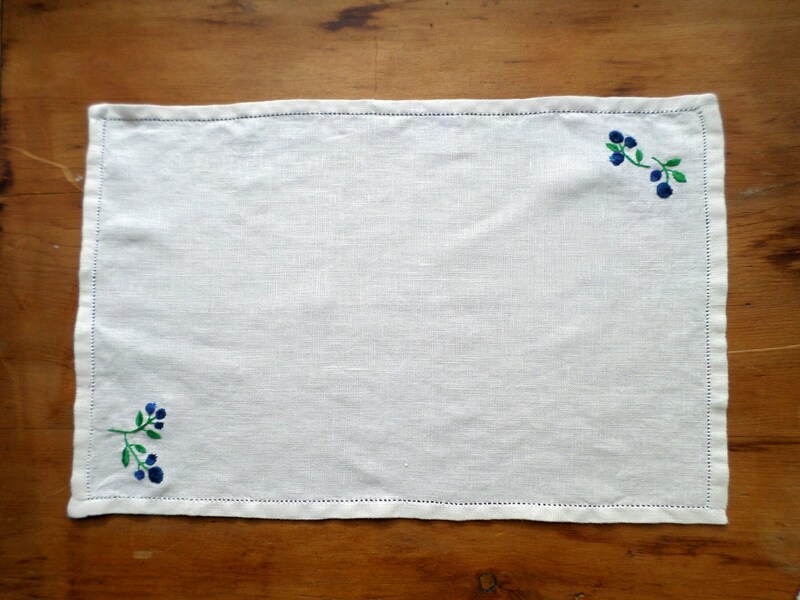 Napkins measure approximately 11.5" x 17" with mitered corners. 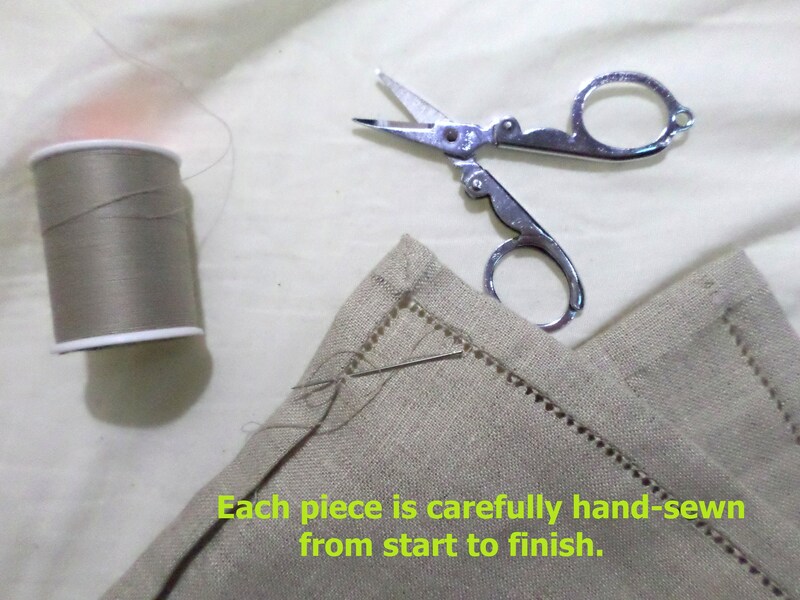 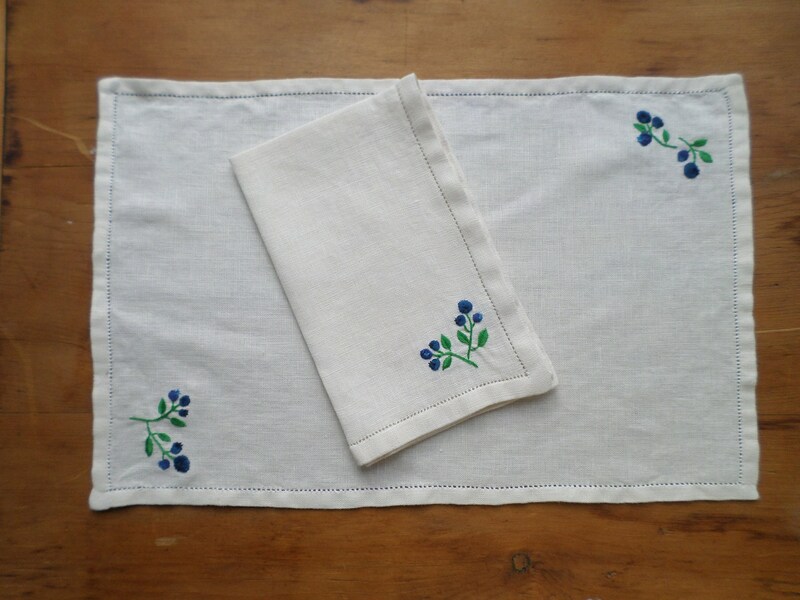 This is a NQP set - the size of each napkin varies slightly. 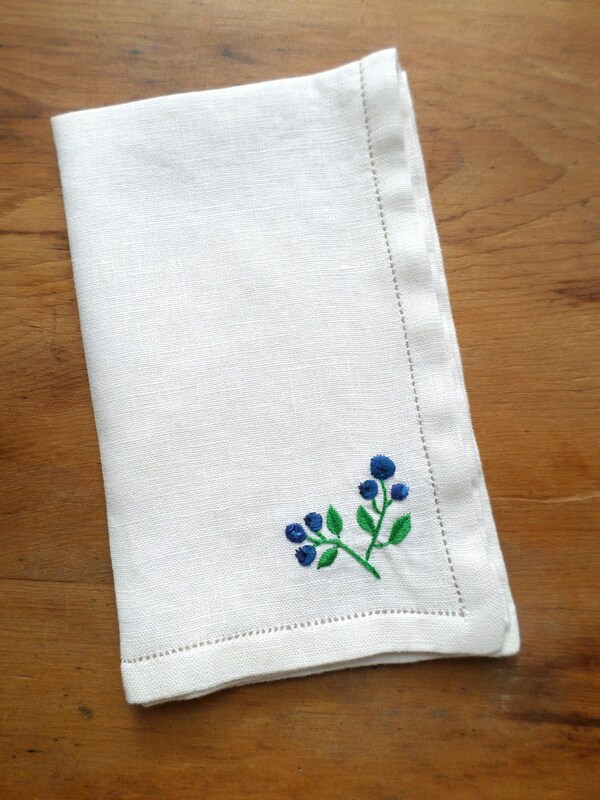 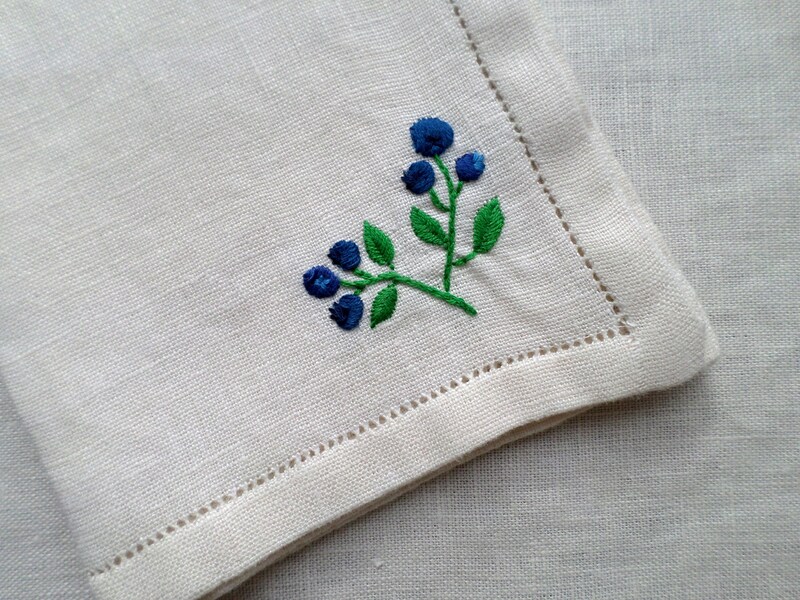 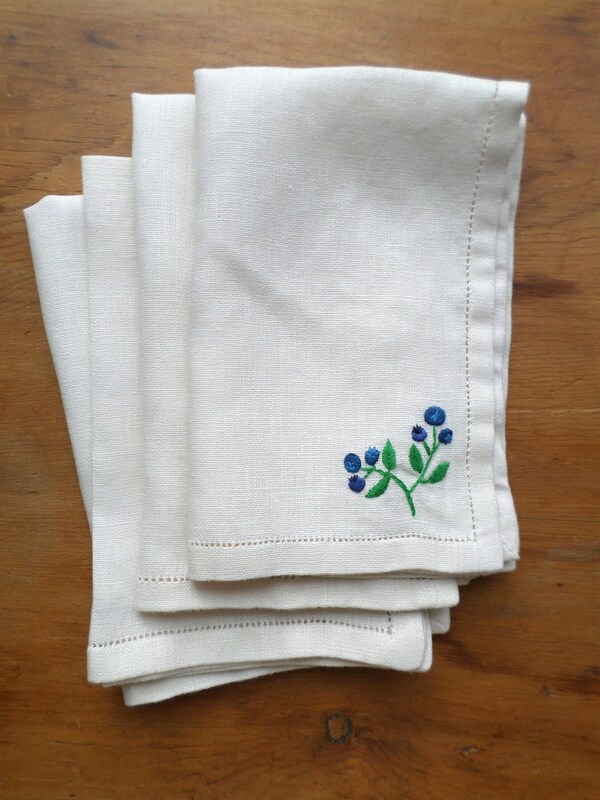 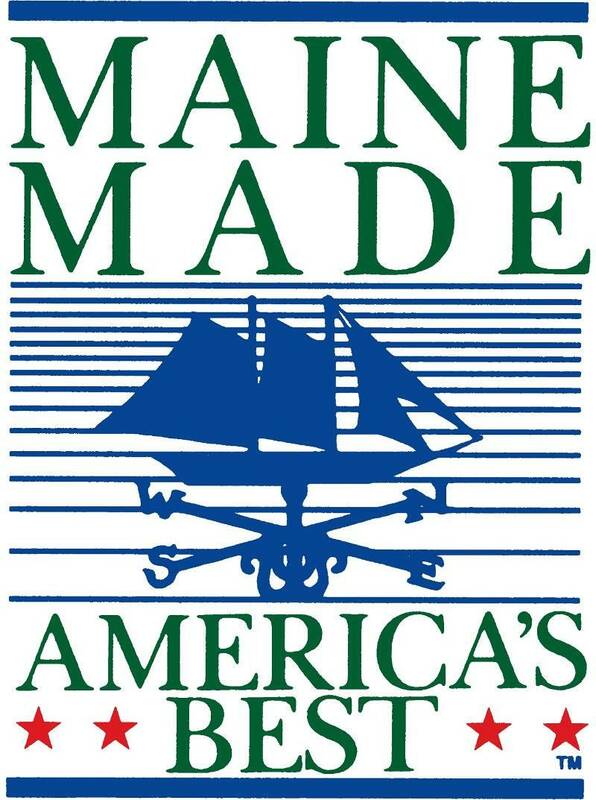 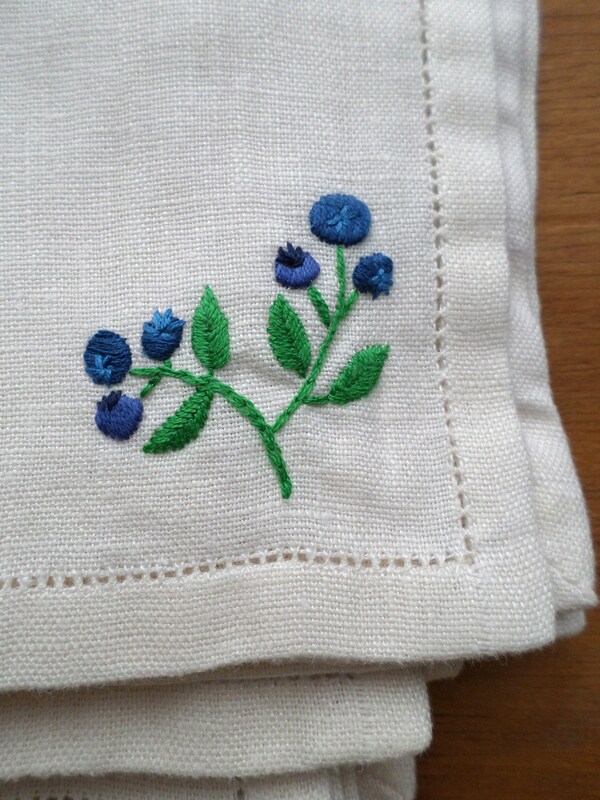 100% Ivory Linen fabric hand-embroidered with design inspired by wild Maine blueberries.